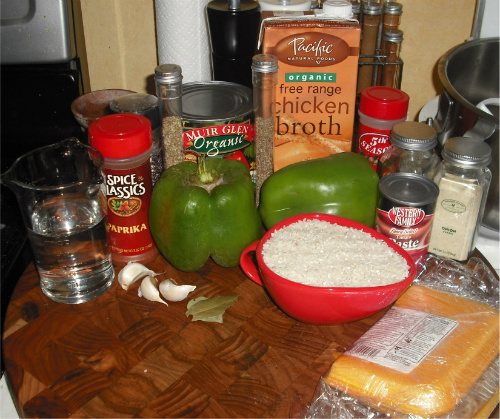 Here is my little place on the web where I can share all my favourite recipes, and randomly some other little tidbits that I might find helpful or simply amusing. All of these recipes have been kitchen tested and approved by me. Except the ones you dislike. I have no idea where those came from. She has a wonderful blog with a nice mix of recipes, nail art and related posts, and hair and makeup reviews and tutorials. All round excellent blog. I saw her recipe for Jambalaya, and I knew right away I would have to make it. It's the perfect fall comfort food. And deceptively easy to make. All photos used are directly from Erin's blog, and used with permission. 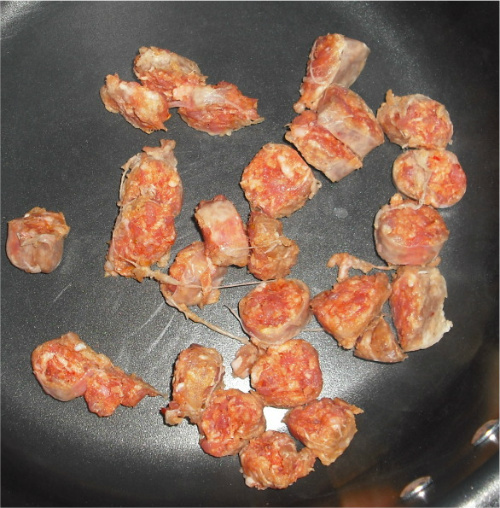 In a large pot saute sausage until almost done. 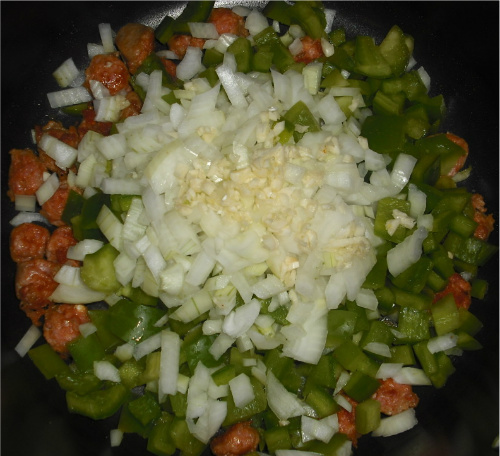 Add in onion, bell pepper, and garlic. Saute about 5 minutes over medium heat, until veg is softened. 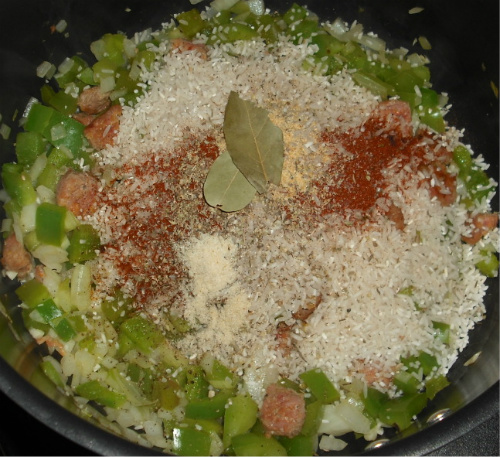 Add rice and the next 7 ingredients (through bay leaf), cook about two minutes. Add tomato paste and warm through, get it a nice brownish color. 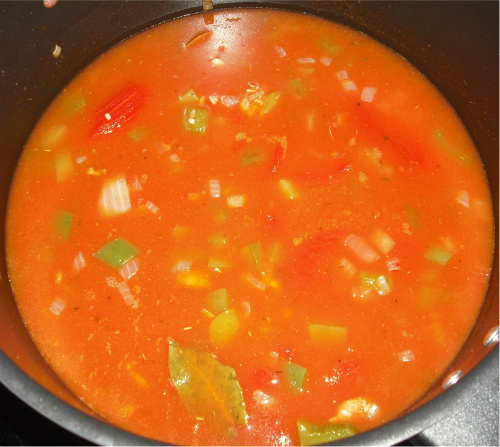 Then add your chicken broth, water, hot sauce, and tomatoes. Bring to boil. Cover, reduce heat and simmer about 20 minutes. 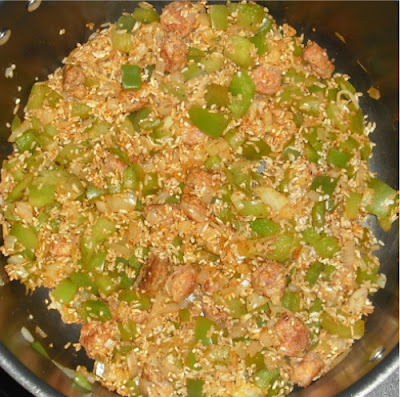 Stir a few times, to make sure your rice isn't sticking too much. Add shrimp and cook about 5 minutes until they're nice and pink. Let stand 5 minutes. 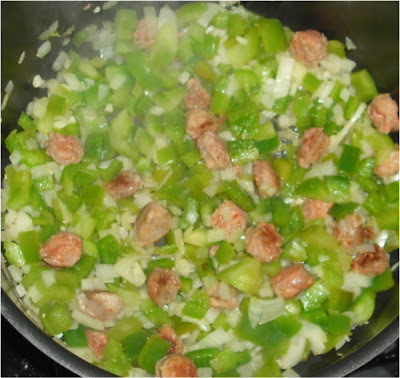 Sprinkle with parsley and serve. Add the rice and the spices. Add the tomato paste and warm it up. Sprinkle with fresh parsley, and there you have it. 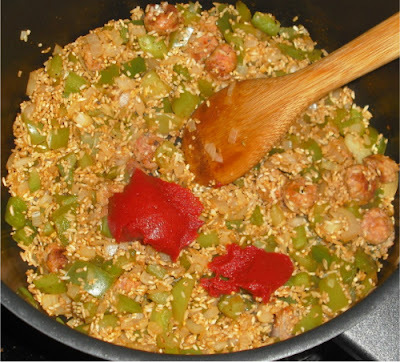 Super yummilicious Jambalaya! Please be sure and check out her blog by clicking here. This looks like a wonderful recipe! omg this looks insanely delicious! 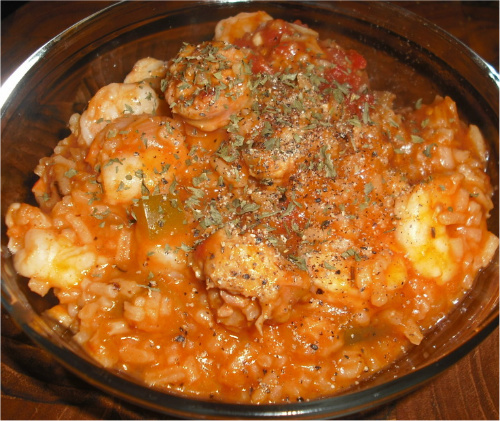 Thanks for sharing the recipe and photos! Caramel Apple Cream Cheese and Skor bits = yummeh!! *equal Parts* Frangelico Creme de Cacao Butterscotch Schnapps Shake with ice and strain into shot glass. Broiled Salmon with maple cream sauce.